It’s a rare thing where a show you’ve literally been anticipating for a decade arrives as a full-out, first-rate tour in basically your back yard. Yes, back in 2008 my friends and I wildly conjectured on the much-anticipated sequel to The Phantom of the Opera back when the first, sketchy details of the plot emerged (warning: that link contains spoilers). This was the first iteration of Love Never Dies, which premiered on the West End in 2010 with high hopes of a Broadway transfer that didn’t happen — even after closing down, retooling, and reopening with a new director. Sir Andrew Lloyd Webber — never one to give up so readily — partnered with director Simon Phillips to realize a new Australian production, that this U.S. tour replicates. So – let it be known: this show still has issues. There are so many inner conflicts within the quintet of key players (Phantom, Christine, Raoul, Meg and Giry) that I gave up trying to figure out who was mad at whom, and why. And it’s still not clear to me if Christine really loves the Phantom, or is bewitched by him. Let me back up. Or fast forward, as it were. It’s 10 years after POTO, and the Phantom now runs a creepy Coney Island performance multiplex (I think that’s how you’d describe it), that Meg headlines, Giry stomps her cane at, and a host of off-kilter carnival types troll around in. (How Phantom acquired a business license is beyond me…) He requests Christine to come sing under some sort of ruse. Now a fancy opera diva, she naively arrives from Paris with Raoul and her 10 year-old boy in tow. Oh, and the boy (at my performance, the angelic-voiced Chicago native Casey Lyons) possesses an uncanny ability for plunking Phantom’s songs out on piano, without evening knowing who the Phantom is. Plot nonsense aside, the overall tone of the show is high stakes, high emotions and grand theatrics sung at a thrilling pitch. Sure, Love Never Dies has its issues, but man: it’s a grand evening out. Where else will you hear a 20-plus orchestra sweeping through a new ALW score, while a cast of first-rate singers with deep opera creds (along with former Norma Desmond and Chicago cabaret legend Karen Mason, no less) rip their heart outs for two-plus hours while a stunning scenic design swirls around them? Take it from me as someone who frequents the theatre: it’s a very rare thing. As for the cast, Gardar Thor Cortez kicks things into high gear at the very top of the show, singing perhaps the show’s best-known song and most epic anthem. Following that, you know you’re in for a evening of BIG. EMOTIONS. Meghan Picerno not only has one stunner of a voice, but really digs into Christine’s inner conflict. 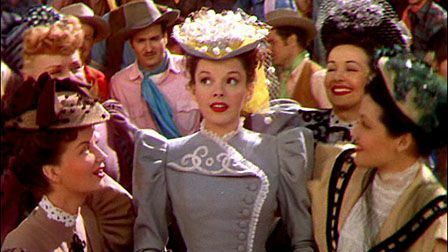 Her big second act aria got a warm hand, and I couldn’t help but notice the strong-willed Picerno, buttoned up in costume (and scenic) designer Gabriela Tylesova’s gorgeous Edwardian silhouettes, gave more than a passing resemblance to young Judy Garland, circa The Harvey Girls. And, to me, that’s a good thing. Mary Michael Patterson, a former Christine on Broadway and now Meg in this tour, shines in a role that gains momentum in act two. As her mother, Karen Mason mines all she can from the eternally underwritten Giry – and gives us a suitable replacement for a falling chandelier at the end of act one with a thrilling high belt. Sean Thompson as Raoul probably has the most thankless task of making us root for a guy who we know is all wrong for Christine. I mean, it was clear in POTO. But Thompson sings and looks pretty, and has a great counter-point song with the Phantom in act two that places this score among ALW’s top five. If you loved #POTO, you’ll enjoy #LND. I firmly believe that. It’s a first-rate tour that celebrates unabashed love, regardless of how misguided that love is.